Due to the popularity of prepaid phone cards in modern communication, we can never deny the existence of scammers and fraud selling counterfeit or inferior-quality products in the market today. The usual victims are those individuals who first-timers in the use of prepaid phone cards. Considering the number of this communication media around the world, the only way to avoid getting robbed by these illegitimate businesses is to know how to spot the wrong one even if you haven't used them yet. The best way to avoid being scammed is to ask for some advice from those who have used the service. If you have a close friend or a family member that uses prepaid phone cards, you might want to inquire on what product they are using to give you a good foundation when you start making use of the service. As I said before, there are plenty of prepaid phone cards being sold in the market today. You can even find a lot of them on the Internet. It is advisable that you avoid purchasing the first product you see without checking out their features and services in advance. Here are some commonly asked questions that you should keep in mind while your window shopping for a prepaid phone card for your call needs. 1. Is The Communication Provider A Legitimate Business? You might want to determine if the prepaid phone card is from a credible and legitimate provider. You can check out their details on the Internet or with a government agency that is in charge of monitoring these types of communication media. 2. What Are The Features Of A Prepaid Phone Card? Determine the feature of each card whether it can accommodate your calling needs or not. In truth, various prepaid phone card providers have their own unique features to stay on top of the competition. Some of these cards are quite useful for business purposes, while others are solely for personal use. 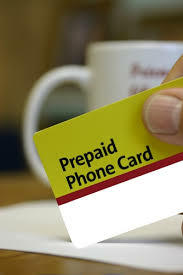 In most cases, prepaid phone cards can be used to call phones in your area or overseas. They can be used with call devices, such as telephones, public pay phones, and so on. Other feature includes a PIN and PIN-less dialing, conference calls, Web Call Back, online calls, and so on. 3. How Many Calls Can Each Card Accommodate? The number of calls you can make depends on the call credits on each card. Assorted denominations of prepaid phone cards are being sold in the market today. Each of these denominations has their own specific call minutes that will be deducted every time you connect and use the service. If you want to determine in advance in how many calls each card is good for, then you might want to check their domestic and international call rates so that you can set your budget for it.